Let’s just get this out of the way. 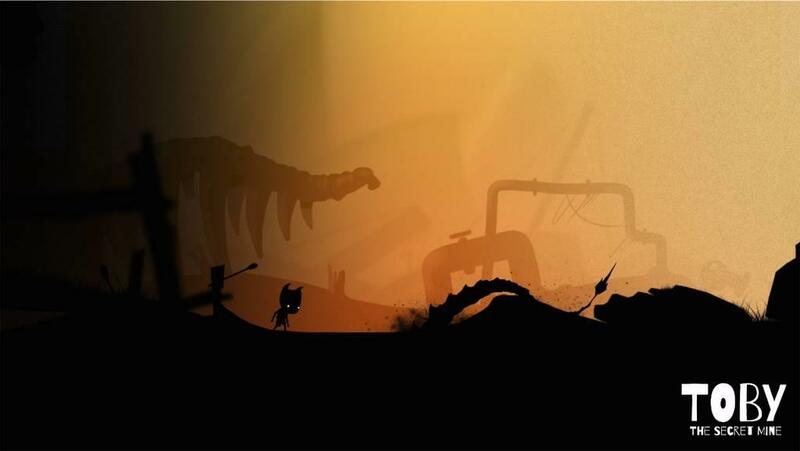 If you’ve played the monumentally excellent 2010 2D sidescroller Limbo, you’ve played Toby: The Secret Mine. Aside from the few times where the game shifts its color palette, the same unforgiving, silent ambience, and puzzle elements from the former are present in the latter. And, to be clear, Limbo did it better. 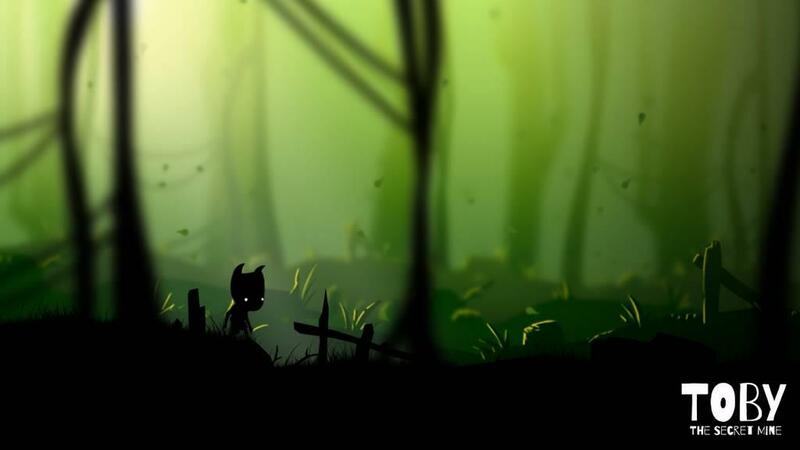 My goal for this review is not to compare one sidescroller to another, but it cannot be denied that the DNA of Limbo flows too strongly in Toby for it to be creatively independent. Besides the initial black-and-white setting that so evokes the feeling of Limbo, the first cutscene is almost a shot-for-shot remake. A giant creature that looks very much like the title character makes off with another creature, and then the player follows. It’s a classic, well-worn trope of sidescrollers, seen since Super Mario. It’s well-worn, but it’s not a tired cliché. It works, it’s a classic break-in-routine that brings the player into the action immediately. The player’s—and therefore Toby’s—goal is then to simply keep moving rightward on the screen until they get to the final boss of sorts. Speaking of Toby, it’s never clear whether or not that is actually the player-character’s name. Not that it really affects the gameplay or story, but it’s notable that there is only one titular object in the game (which I won’t spoil too much). The story’s ramifications aren’t truly felt until the end of the game, and as a result, much of it has to be shown. This is probably the strongest positive aspect of the game, as the player has no idea where to go except forward. 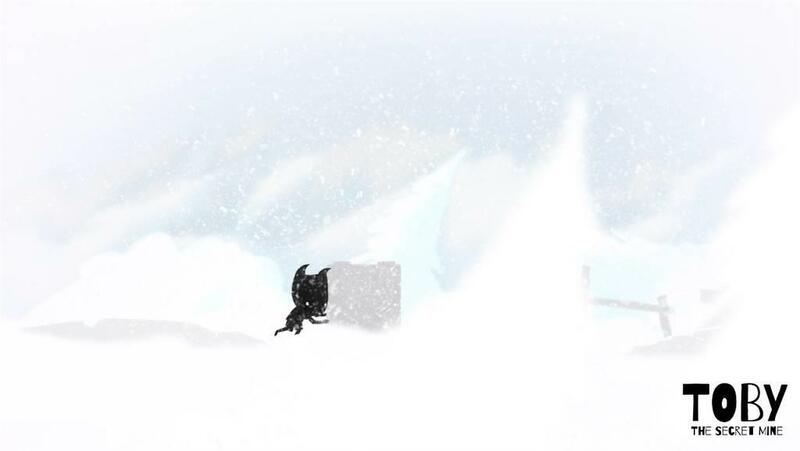 The story is shown through the settings that the player walks through, and it is here where Toby differentiates itself from Limbo the most. Toby’s color palette is refreshingly diverse. It escapes from its black-and-white vestige fairly early, and makes way for bright oranges of the desert, blinding white of snow-covered tundras, and red for the fiery underbelly of the world. The player learns about the place where Toby lives through these background snapshots. And although no immediate connection is made with the player as to why they should care, the stakes are made clear. Unlike the boy in Limbo, who only wants to save his sister, Toby is trying to save his entire people. It’s interesting then, that since the stakes are so high, that the game is so punishing. During the course of my play, I received a PlayStation Trophy for dying one hundred times. From beginning to end, the game is perhaps three hours. Dying one hundred times over three hours is harder to bare than it seems. Apparently, however, the opposite is true for whoever designed the levels and traps that will surely spell death for many other mediocrely skilled puzzle game players such as myself. Worms that leap up to instantly kill the player, spikes that pierce them at the worst time, and levers to avoid all these tragic situations are hidden throughout the levels in complete darkness. This forces the player to delve into those shadows repeatedly, and lures them into a false sense that this is the way the game works, when it fact, it’s more of a trial-and-repeated-error method of advancement. To hide all the things that can kill the player so that there are so many patterns that they have to remember in order to progress when they next respawn is to mask the game design as intelligent. The gameplay here is anything but. This is the part where Toby imitates Limbo the worst. In Limbo, players had much better physics to work with, and they could at least see where and when the threat was coming. Here, it’s all about the luck of the draw, and that luck is slim. Simply put, Toby dies—a lot. Part of this is due to skill in mastering the game—skill that I don’t necessarily have proficiency in, but at least some ability—but it’s difficult to accept a game when it refuses to work with the player. This is a point that I never fail to make in my reviews. Halo had arrows, Ocarina of Time and Twilight Princess had dialogue and fairy things. Toby hides its solutions in order to pad out the empty, half-meaningful gameplay. As I said before, it seems at first that this is the tradition of the game, but it continuously only looks like that. Sometimes the solutions to the puzzles are on the screen, other times you have to die a few times in order to get it right. This can work, sometimes. It doesn’t here. This is not Crash Bandicoot, where a player might look fondly back on a few levels even though it took all the energy out of them because it was so challenging, yet ignores all that because the game still provided them a clearly defined way to progress. No, this is not that type of game. This is the type of game that punishes players because its design and pacing is so flawed that it can’t do anything but take them out, and then only to have them res-pawn, in order to prolong the pointless gameplay. In my time with this game, which was the entire story, its negatives outweighed its positives. The hidden traps, the hidden solutions that required multiple walkthroughs of any given level to ascertain, and the general unoriginality of the title was a hugely frustrating disappointment. The only aspect of the game with any real payoff is the story, and to get that payoff, you have to reach the end of the game. As I said, the art does differentiate itself enough and it excels at visual storytelling, but in order for the game to work, the other half of the equation—gameplay—must also succeed, and it doesn’t. It’s not bad that the game doesn’t let on to the player about how to progress, lots of games do that and it proves to be great. It’s that it punishes players while they are in pursuit of the solution, killing any valuable game time. Toby: The Secret Mine is inspired, to say the least. Its not its imitation of previous games that kills it, but its execution of those elements. It had potential, but you’ve seen this game before.